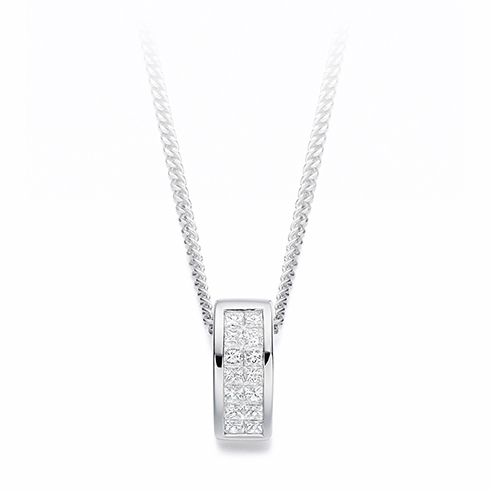 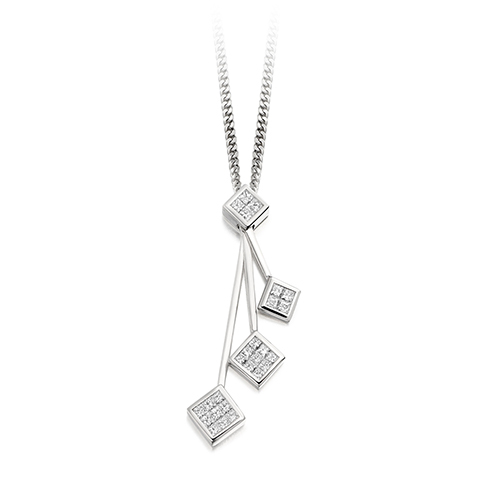 A stunning princess cut diamond pendant finished in a constellation pattern with invisible set stones. 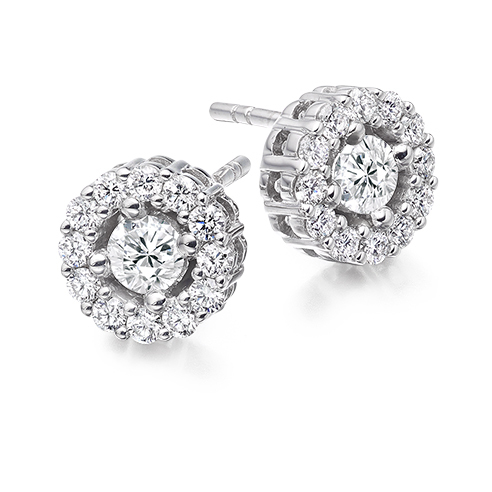 Earrings to match this pendant are also available. 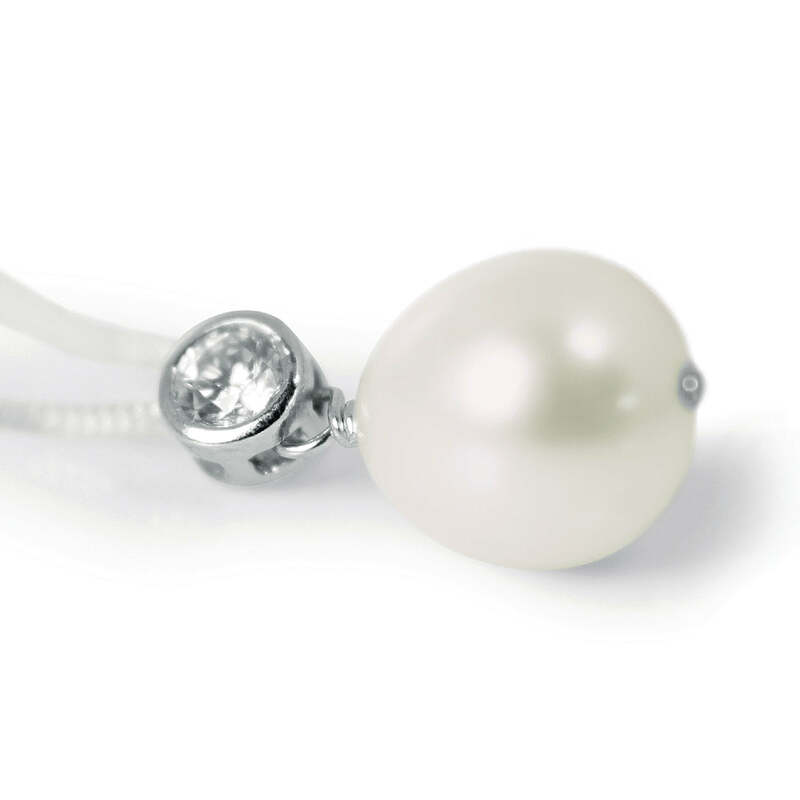 This pendant is available in white, rose and yellow 18ct gold. 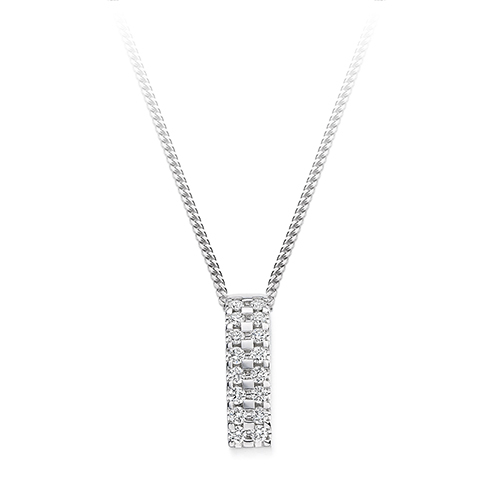 Please note this pendant is not supplied with a chain.